I can’t believe it’s that time already but here are the main 3 events I’ll have a table at this year. So get your diaries out and make a note of the one’s you fancy (they’re all going to be MAGICAL so I recommend all 3, ha!) and come say hello! I’m super excited and frantically painting beads and making new bits and bobs. Here are some links - share them with your friends and family! Hello folks! First of all I just want to take a moment to say thank you so much to everyone who participated in the pattern vote (see previous post for info) which is now closed! The votes are in and I'll announce the favourites later this week! Thank you! I'm still head over heals stuck in the middle of a creative rut at the moment, which is probably why everything I'm doing looks so dramatically different from what you're used to seeing. I'm taking it as a good thing, I didn't for a long time. 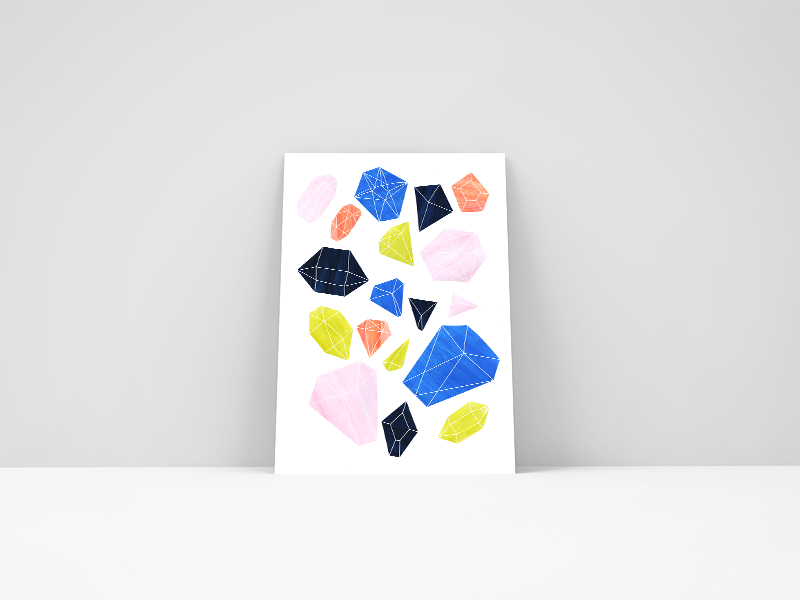 I've scanned a few of my favourite pages from my sketchbook and turned them into prints. They're now in the shop but might only be available for a limited time - I'm still a little nervous about how different they look, but hey we gotta just try these things, don't you agree? Vote for your favourite designs! You may not have noticed, but I've been making loads of new patterns recently and now I've got to the hard part... decision making time! I've put together a little form at the bottom of this post and if you could take a moment to pick your favourites and check the boxes I'd be so grateful! I've already had so much wonderful feedback over on instagram for certain colour ways but it'd be such a big help putting together a clear winning collection - and my messy brain's failing! The winning designs will be listed online and available for pre-sale and if we can get enough of those through I'll be able to send them off to the printers! Thank you so much in advance and feel free to share a link to this page and the form below, get your friends and family involved! VOTES ARE NOW CLOSED! KEEP YOUR EYES OPEN FOR THE WINNING DESIGNS!